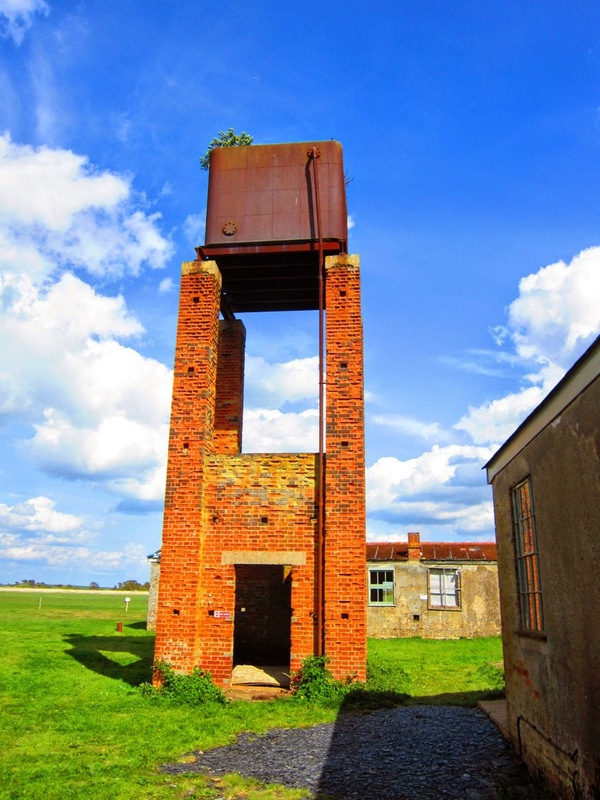 Had a fantastic day yesterday at the wonderful Stow Maries aerodrome. 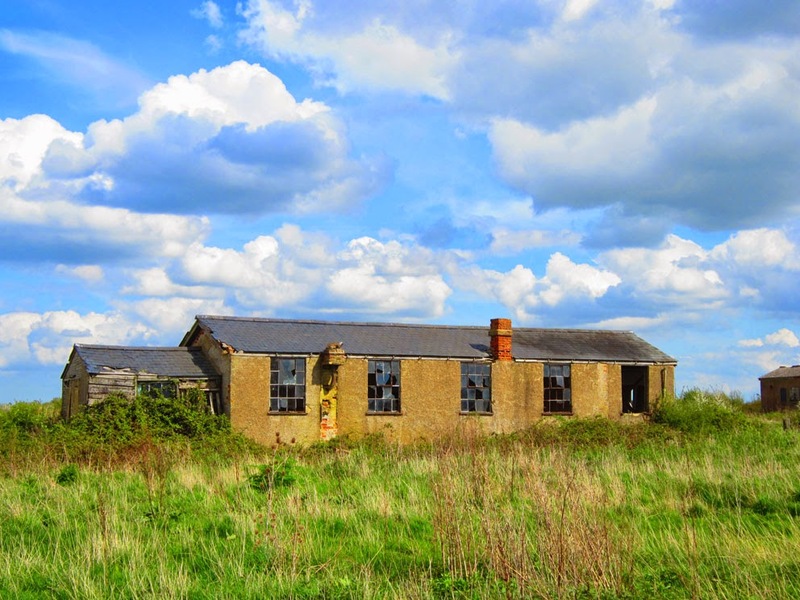 This hugely evocative place is the only surviving First World War aerodrome in Europe. 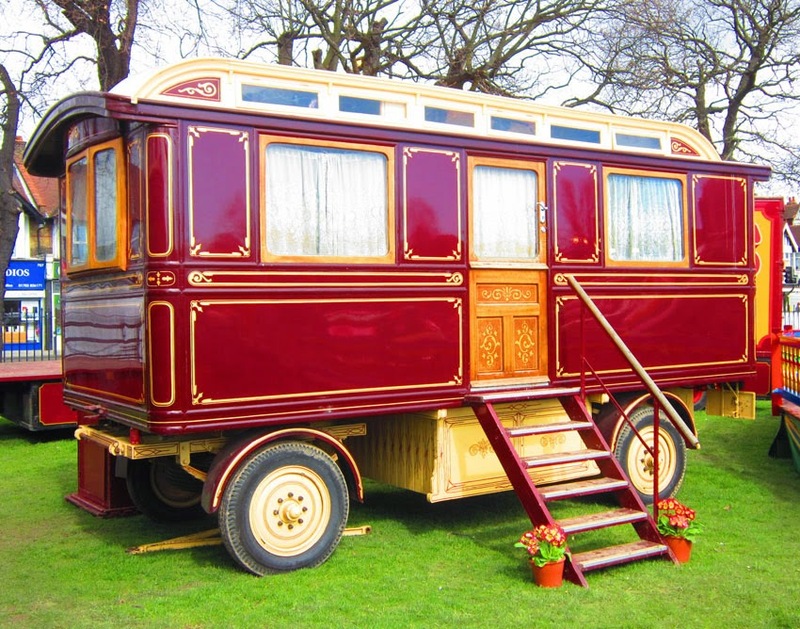 Tucked away in a corner of rural Essex, not far from Maldon, you will be transported back 100 years. This place was operational from 1916 before being decommissioned in March 1919. 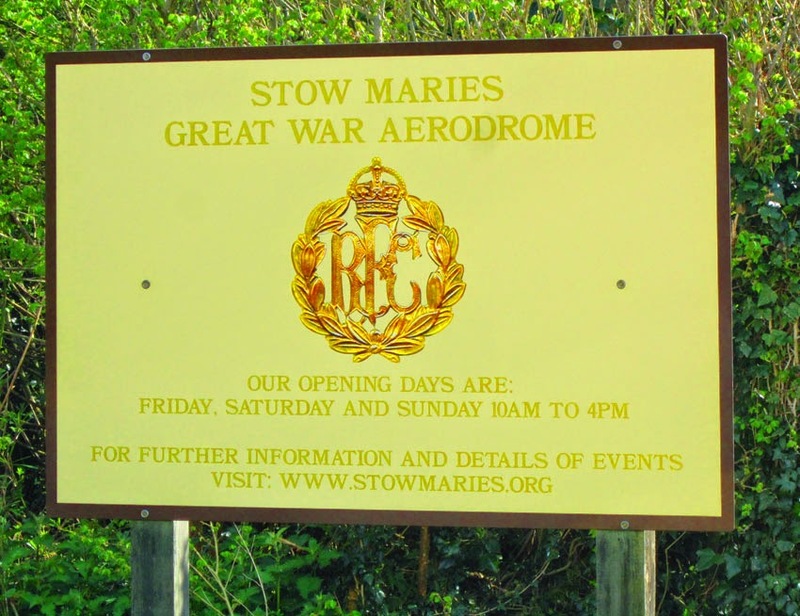 As attacks by Zeppelins and bombers increased alarmingly, the Government acted quickly and Stow Maries was one of several aerodromes built in Essex. 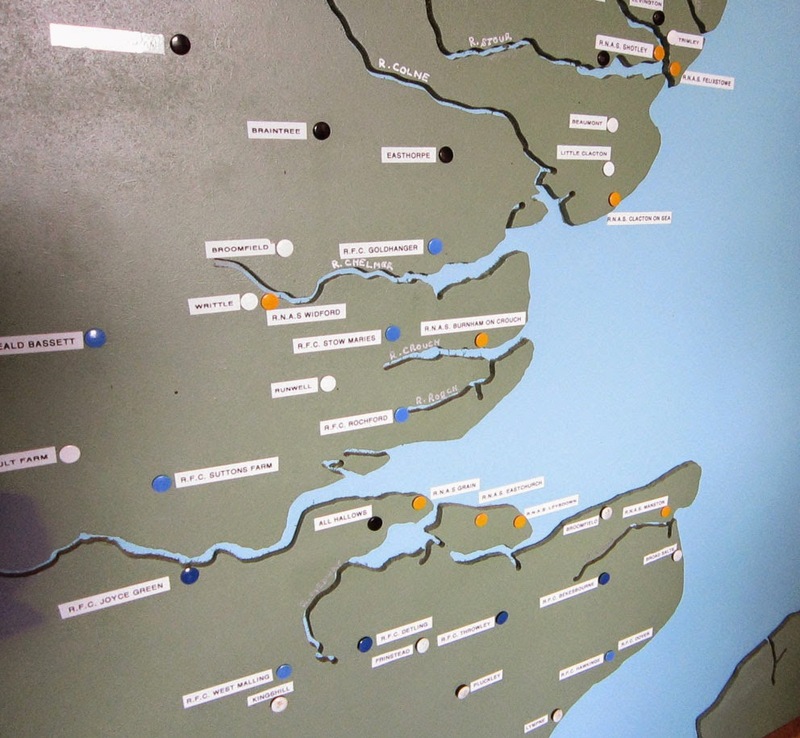 Its purpose was to protect the eastern side of London and intercept anything coming along the River Crouch. However, it was a bit of a Heath Robinson affair at first, and only really started looking like a proper aerodrome in 1918. The bravery of those involved cannot be understated. At first the planes they had to work with were hugely inadequate to the task. Reading some of the reports in the museum, the guns would regularly jam as well, just as they had finally caught up with the enemy. Wandering around these building fills you with a real sense of history. The reason the site is so complete is a simple one. The land was originally requisitioned from farmers to create the aerodrome, and once it was no longer needed, they just gave it back. The family didn't destroy all the buildings, which happened on other sites, but simply used them for storage and as workers' cottages. When it was bought in 2009, the potential for this amazing project became apparent. This really was an opportunity to preserve a truly unique place. 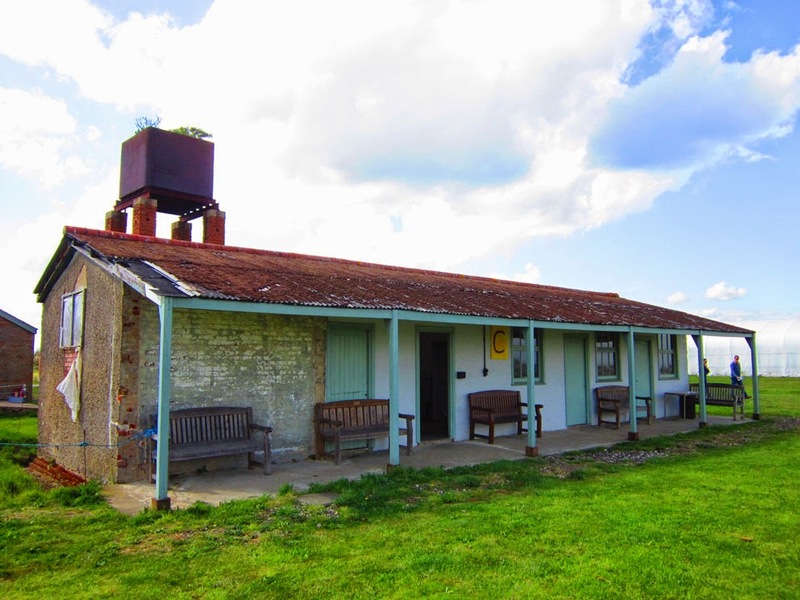 Since then 9 of the surviving 22 structures have already been fully restored. 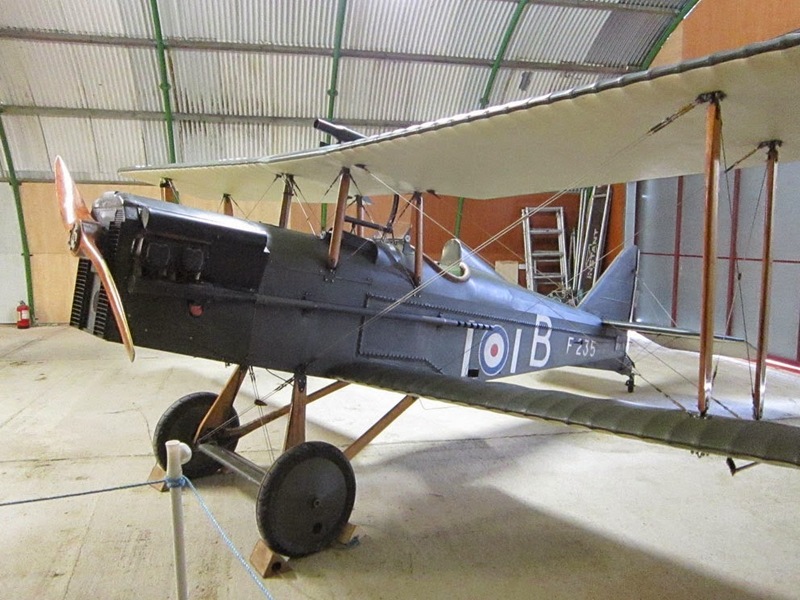 They also have replica WW1 planes, some of which actually fly. 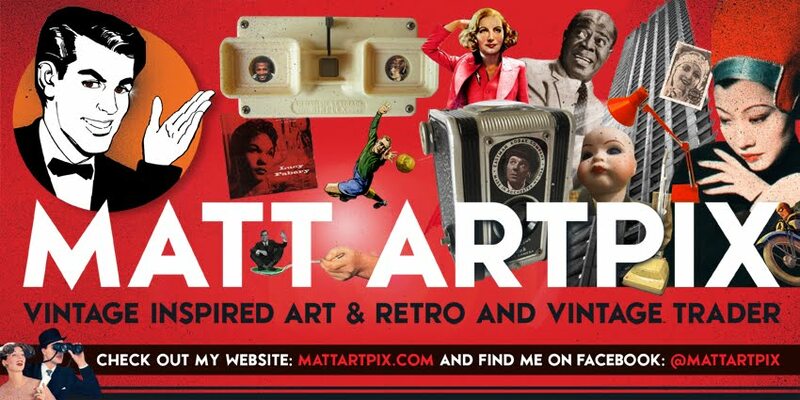 Interest has been huge, with features in national newspapers, magazines and television, proving the historical worth of the site. Only last week they were on BBC's Antiques Roadshow Detectives! There is also a brilliant conservation project to protect and enhance the local wildlife. As it's such a rural place there, they get a fabulous array of birds and animals. Specifically all five species of British owls and European Hares. 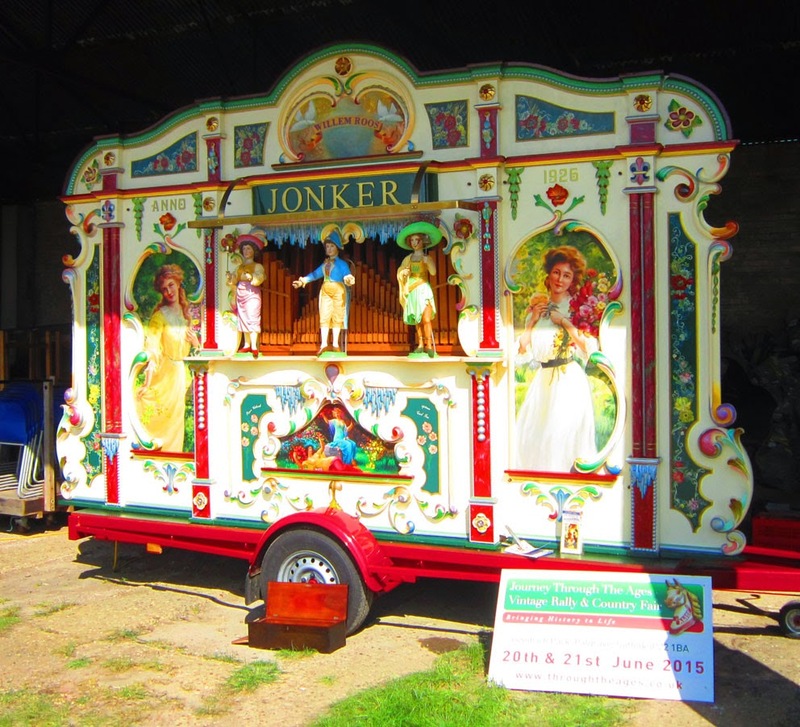 Yesterday was enhanced further as the Musical Box Society of Great Britain were there. Dotted around the place were amazing original musical boxes, street organs and pianolas, giving even more of an historical feel to the place. We were also treated to a fabulous magic lantern show, which had Victorian, Edwardian and Great War slides. So go along and visit this important and unique place, it's so good to see such an enthusiastic and professionally run restoration project. Entrance sign, featuring the badge of the Royal Flying Corps. 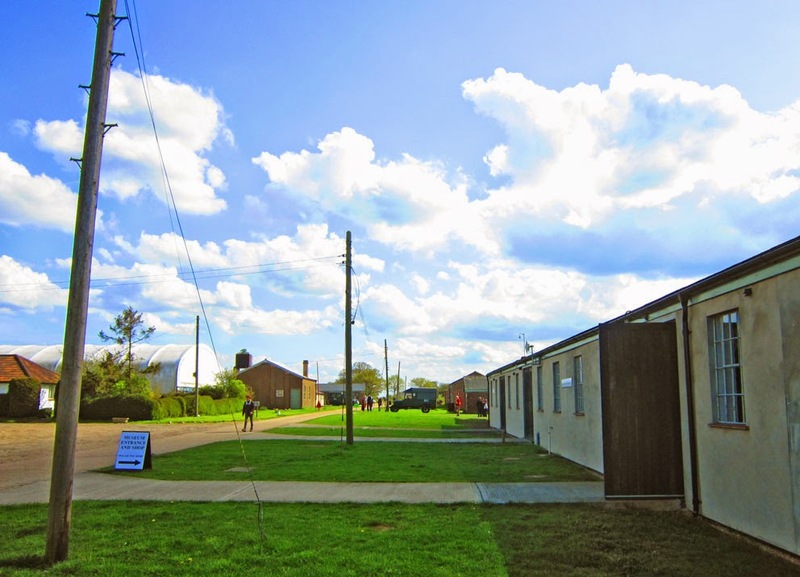 Some of the already restored buildings of Stow Maries. One of their replica WW1 fighter planes. 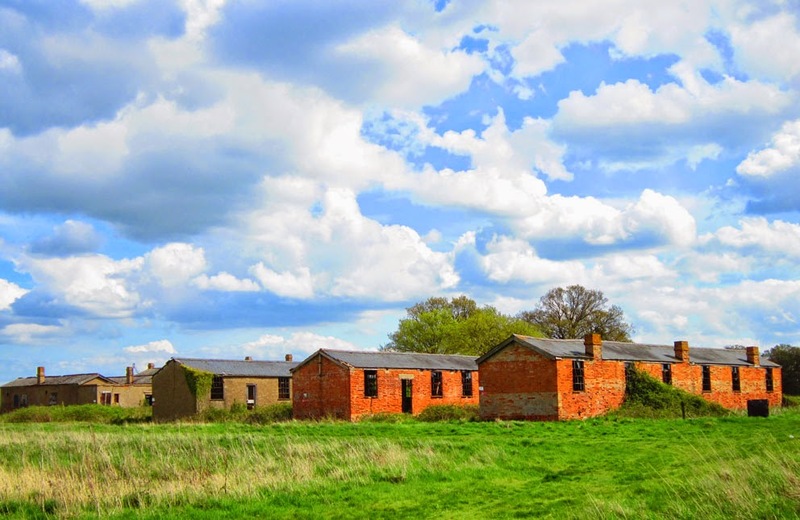 Some of the unrestored buildings on site, these were originally the Officers' Accommodation. Another evocative building, showing how this is very much a work in progress museum. 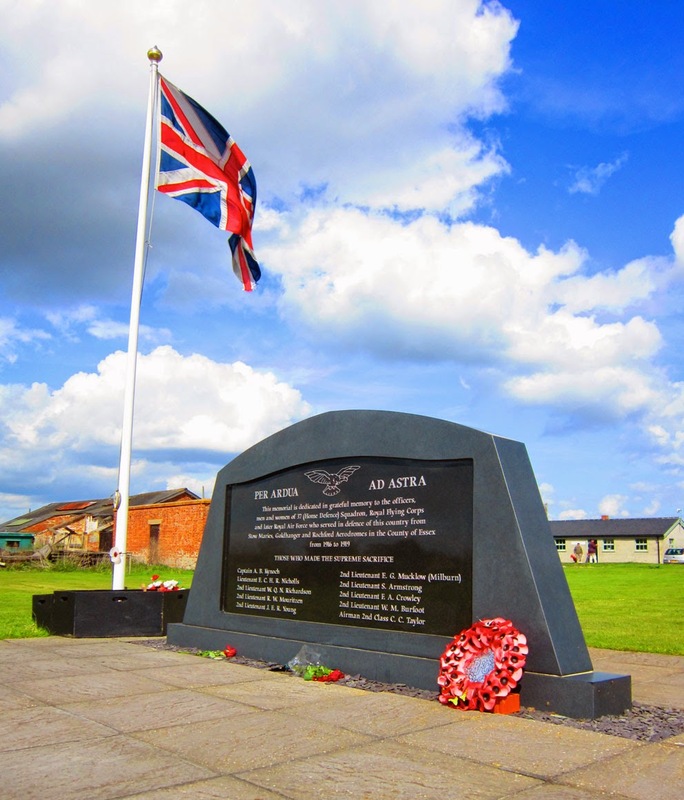 Memorial to all who died serving at Stow Maries and nearby Goldhanger and Rochford. Fascinating attention to detail was given to restoring everything. 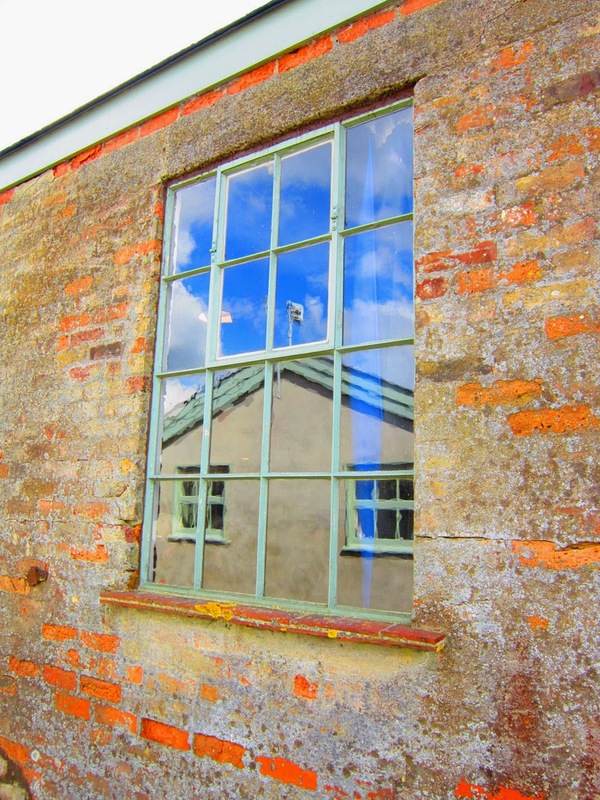 The right type of windows used in 1918 were extensively researched and fitted here. 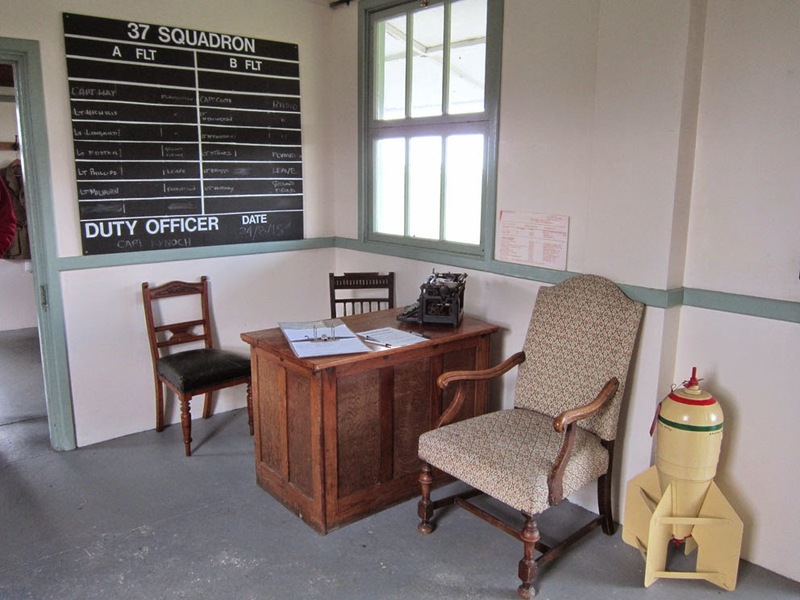 Incredibly evocative Pilots' Ready Room, where they would wait until an attack was reported then run to their planes. We always think this just happened at the Battle of Britain in 1940. Inside the Ready Room, which is filled with original artefacts, including the blackboard, which has been filled in with the day's details from 24/8/18. 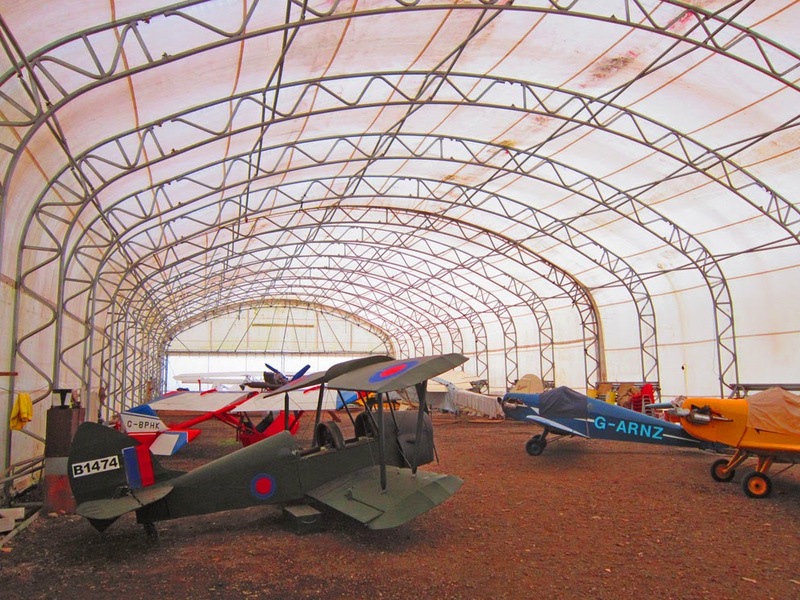 Inside the temporary hangar, which thanks to a £1.5m grant will be replaced with authentic 1918 hangars. 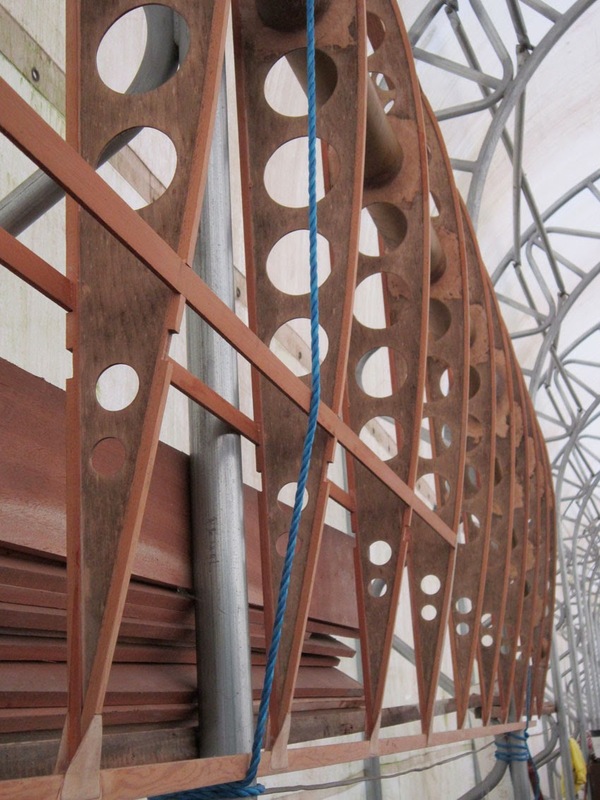 Just to give you an idea of how flimsy these aeroplanes were, here is a reproduction of a wing made of wood. 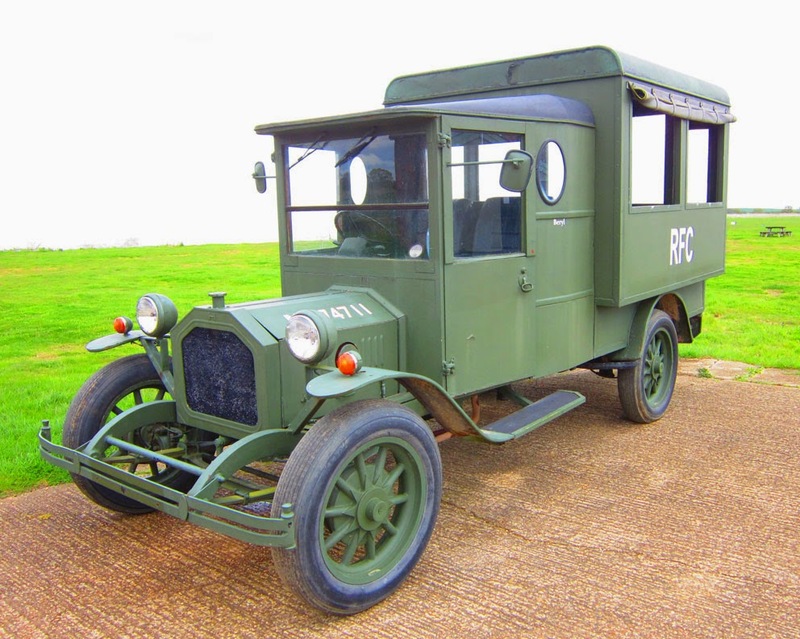 Restored Royal Flying Corps truck, used for transporting people around the vast aerodrome. Inside the museum are some fascinating things found on site. 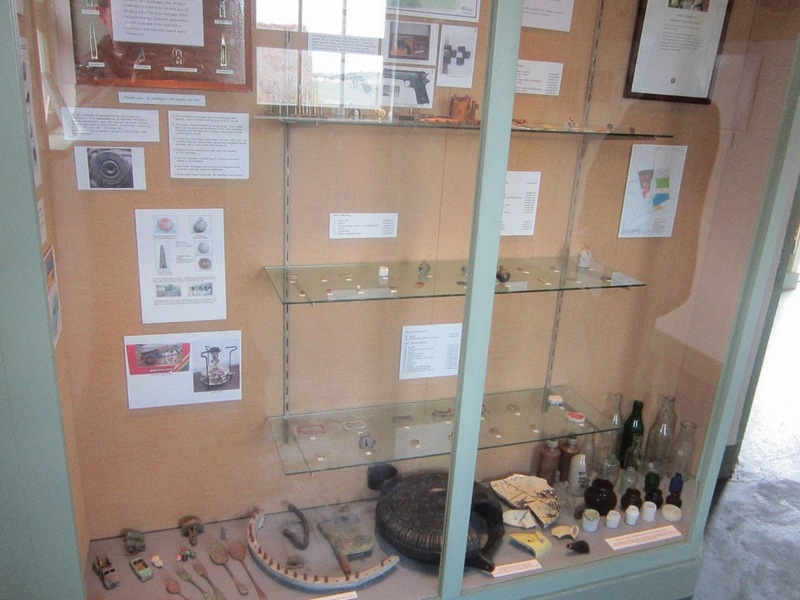 Bullets, pennies, old toys, cutlery and bottles. Map putting Stow Maries into context, showing the network of others aerodromes in the area. 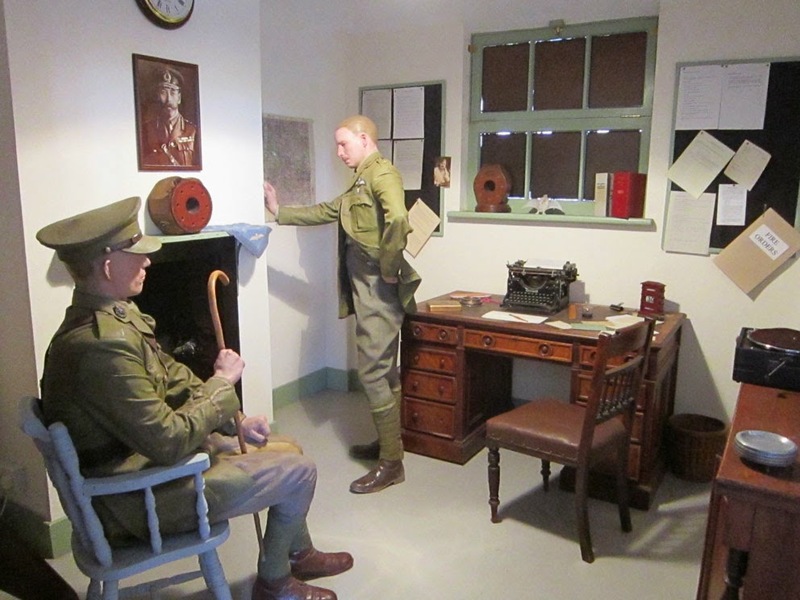 Recreation of the Squadron Office, with the commanding officer Captain Claude Ridley standing. 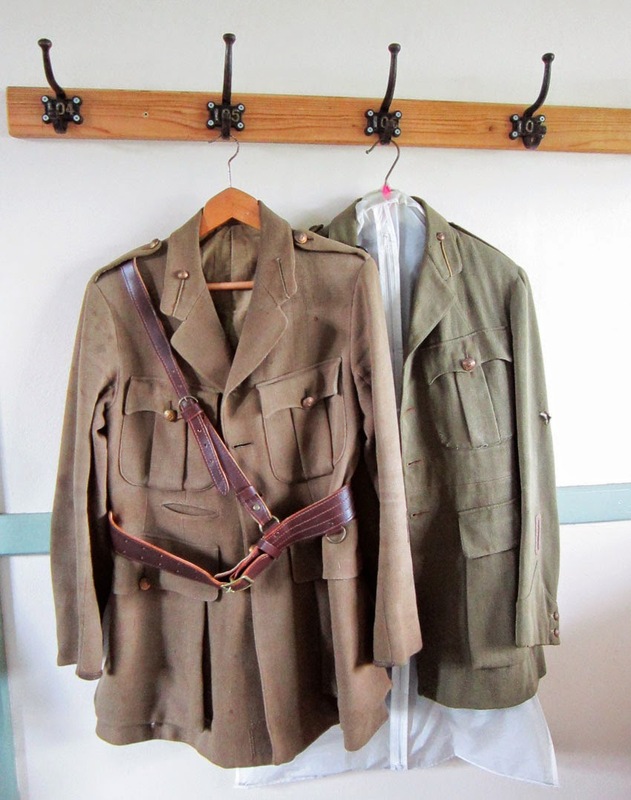 Incredibly, he was only 19 when put in charge of Stow Maries in 1917. 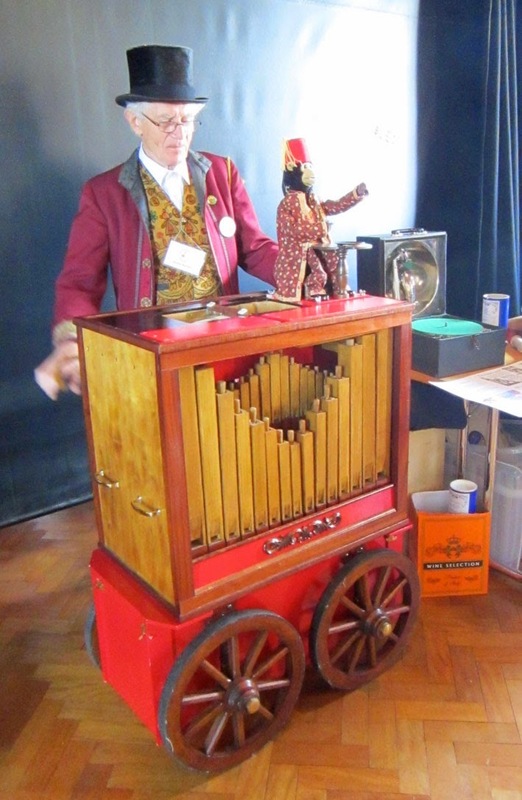 One of the amazing musical contraptions on show. 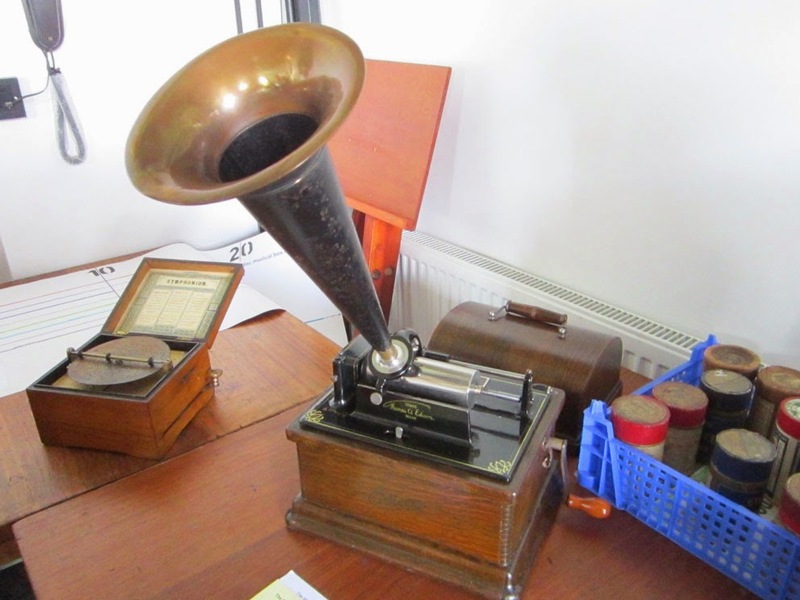 The Musical Box Society of Great Britain brought along an impressive array of machines. This chap is playing this grand machine. 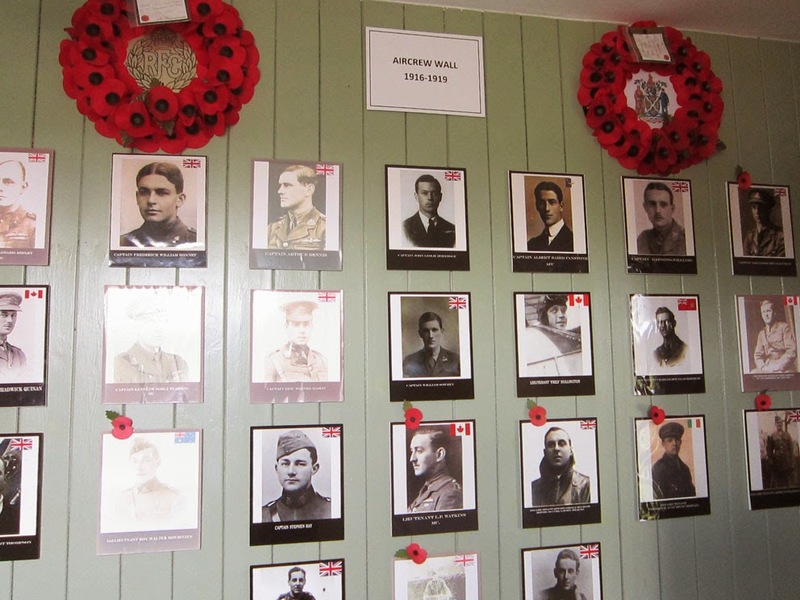 Fitting finale, this is the Aircrew Wall 1916-1919. 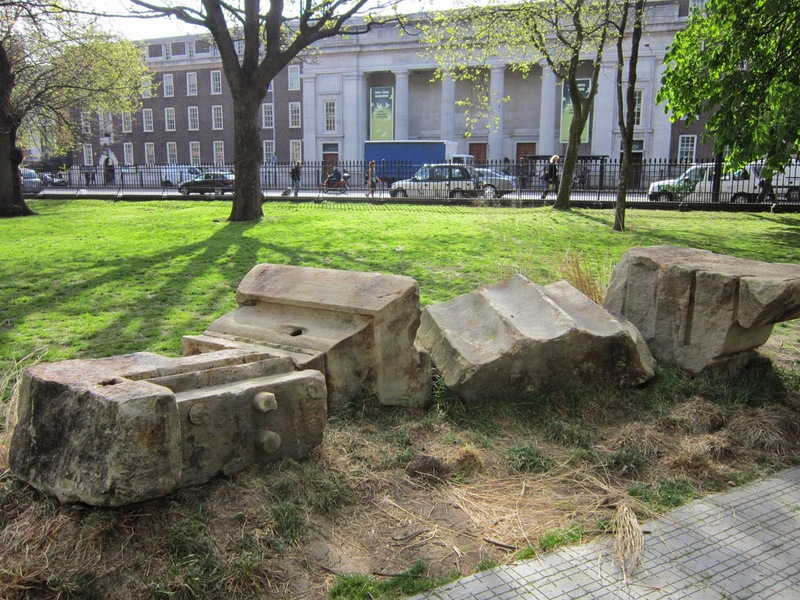 London’s historical buildings are fast disappearing. All the time I’m reading about another famous pub or landmark that’s to be demolished, making way for yet more horrible flats and shops for the super-rich. 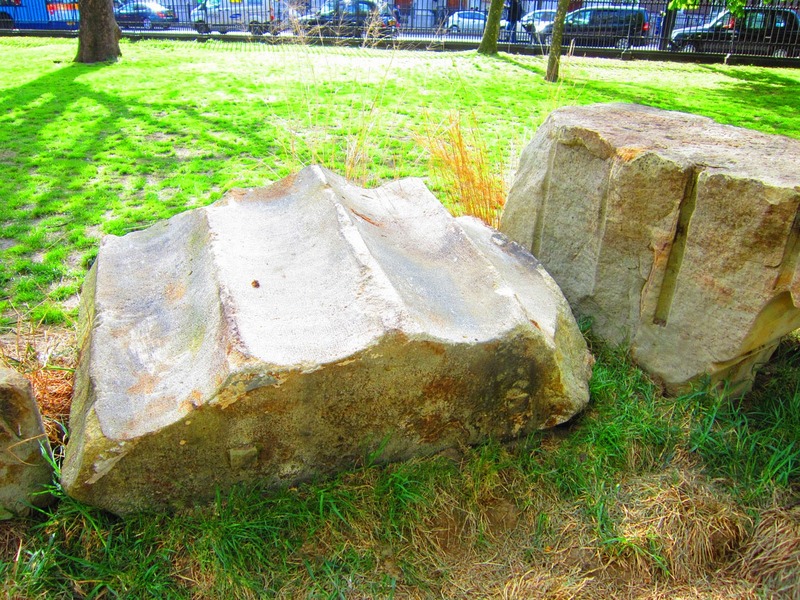 Just recently, plans to destroy a part of the iconic Portobello Road Antiques Market were revealed. The 200-year-old shops in Burlington Arcade are being pushed out to make way for designer chain stores. Another huge chunk of the already sanitised Camden Market is also to disappear, the list just goes on and on. But over 50 years after one of London’s worst acts of cultural vandalism, a chink of light has appeared that just might reverse this awful trend. 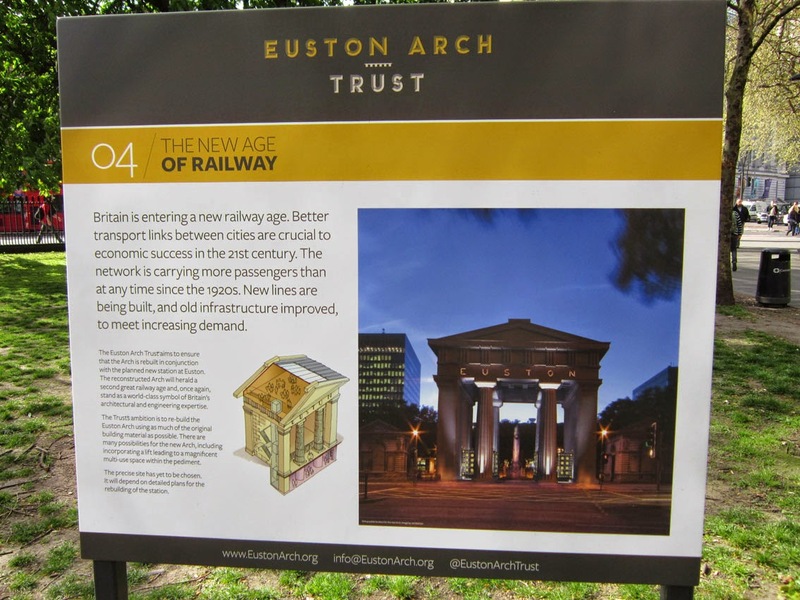 Outside Euston Station, there once stood a majestic arch, looking like a Roman temple, called the EUSTON ARCH. Built in 1837, it proudly looked over the station until cruelly destroyed in the early 1960s, when the station underwent major reconstruction. Despite huge public protest, and high profile opponents including John Betjeman and Nikolaus Pevsner, down the arch came. Tragically, it never needed to be removed at all, as it didn’t impact on the new station in any way. 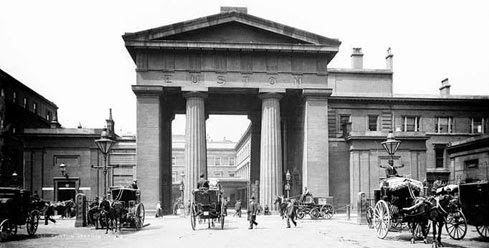 Euston Arch in all its glory. 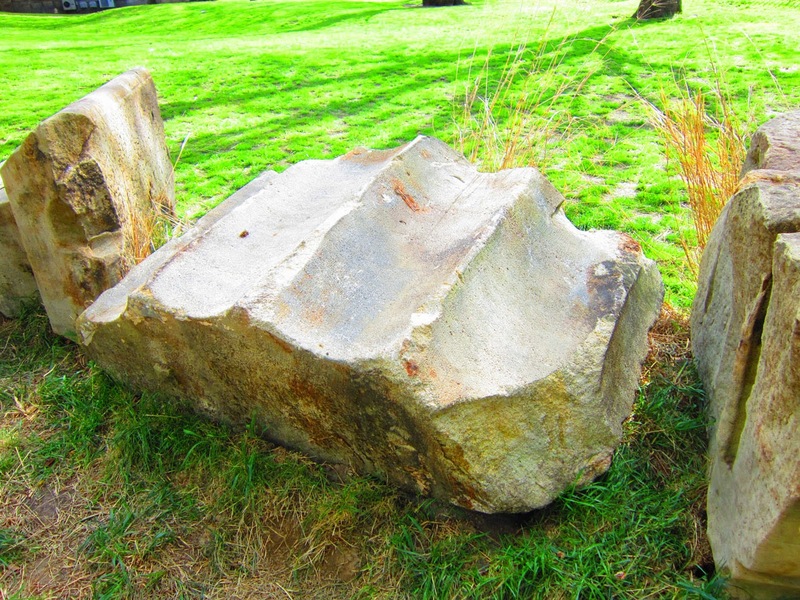 The stones from the arch were individually taken apart and were unceremoniously dumped in a river. 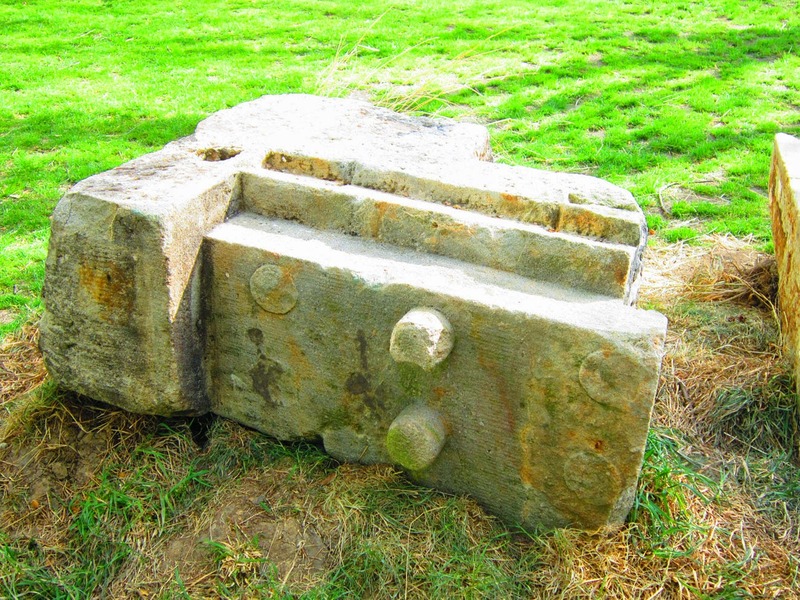 These were then rediscovered in the 1990s and since then there has been a growing interest in rebuilding the arch. This would be easier than you think, as it would be like redoing a jigsaw puzzle, although only 60% of the stones are left. 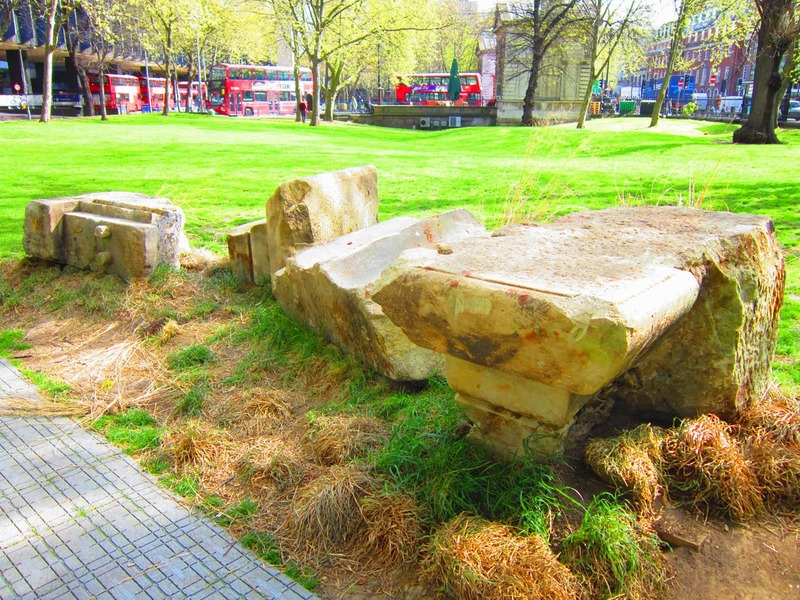 Brilliantly, a few weeks ago, some of them emerged again in Euston Square Gardens, next to the original site. As I work right next to Euston Station, I’ve seen them on my daily commute. They are gorgeous, especially the distinct column-shaped piece. 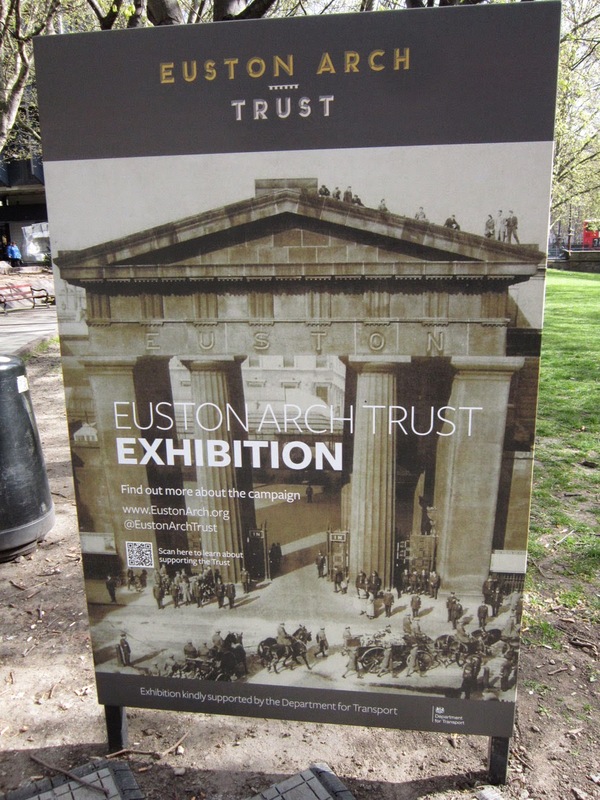 As part of the renewed effort to get it restored, the Euston Arch Trust have put on this little display. 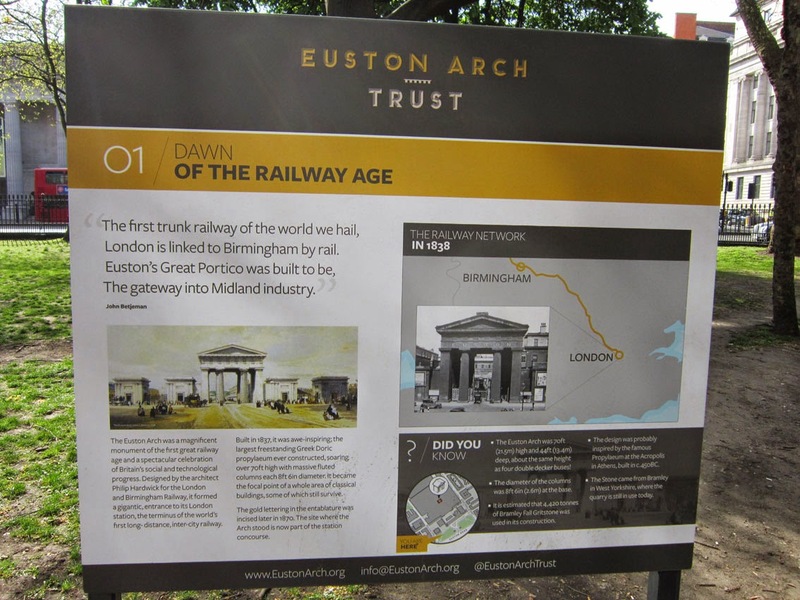 Alongside the stones there are some information boards, giving you the full picture of the story and the plans. 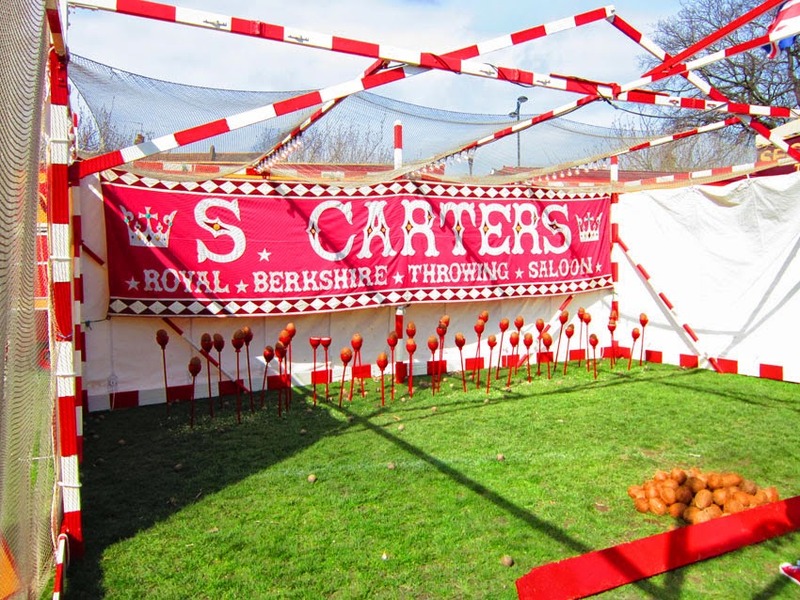 If you pass by that way, go and have a look, it's there until May 9th! 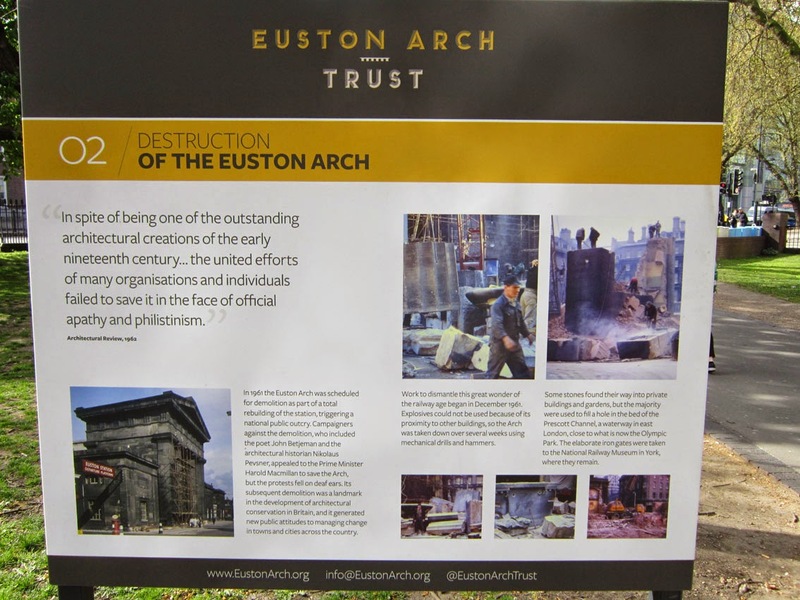 I really hope they succeed in rebuilding it and at last reclaim at least one bit of London’s history. 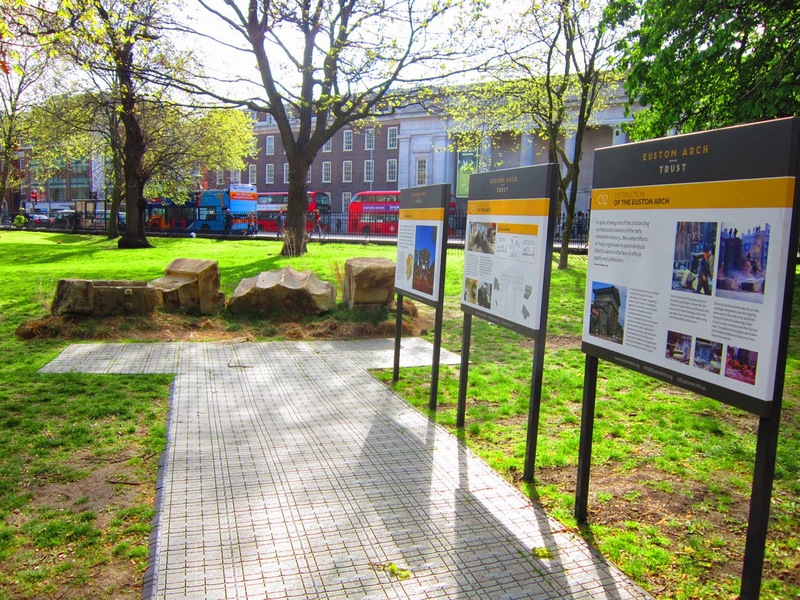 Start of the mini exhibition at Euston Square Gardens. Walkway to the stones, with the forever congested Euston Road in the background. 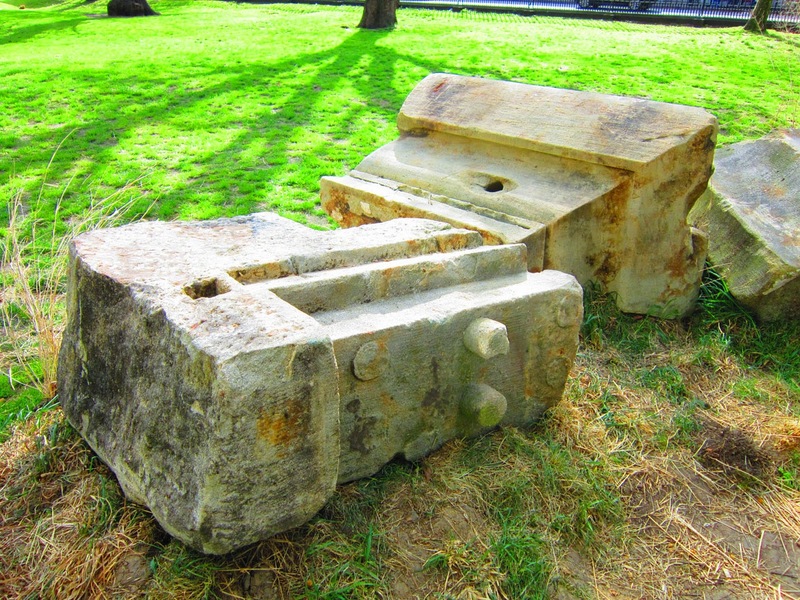 And here they are, four original pieces of the arch. Behind you can see the two lodge buildings, between which the arch actually stood. They are the only remaining structures from the original station. Closer inspection, which reveals how the pieces were slotted together. A section of the distinctive Doric columns. It looks like a giant Lego piece! A bit bashed, but still impressive! Board number 2, showing the destruction. 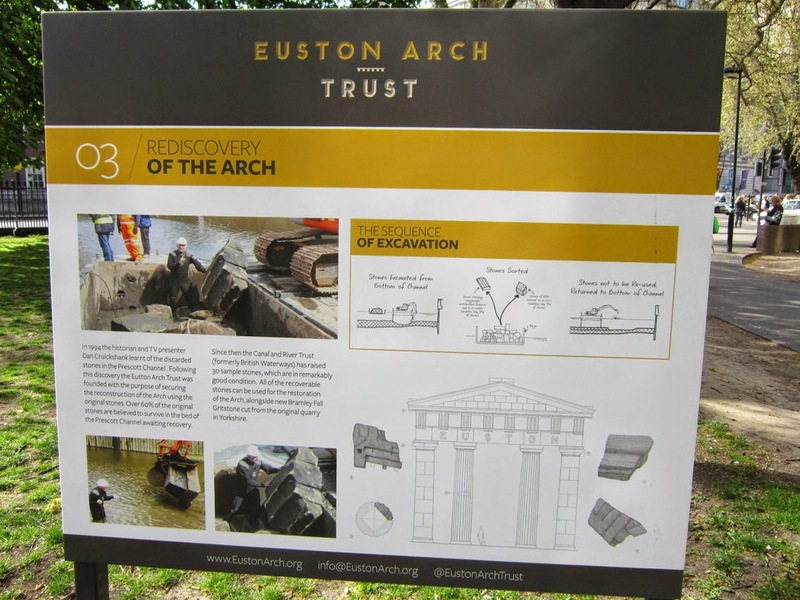 Board number 3 looks at the discovery of the arch found in the river. Number 4, with the bold new plans for the arch. 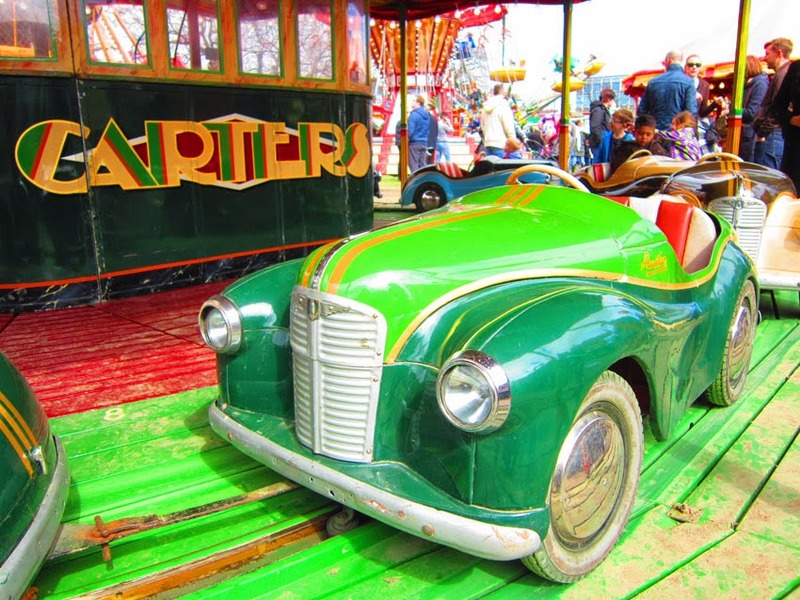 Had all the fun of the fair last weekend at the magnificent CARTERS STEAM FAIR!!! 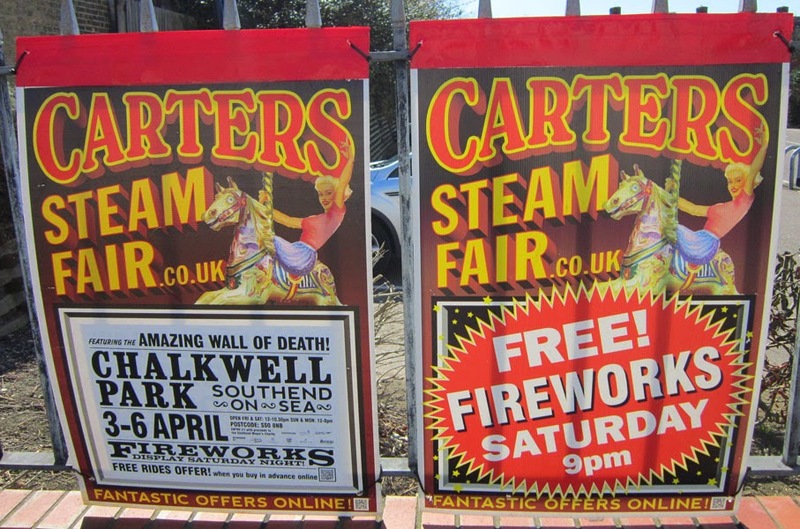 They had steamed their way over to Chalkwell Park in sunny Southend, so I couldn't miss the opportunity to see it. 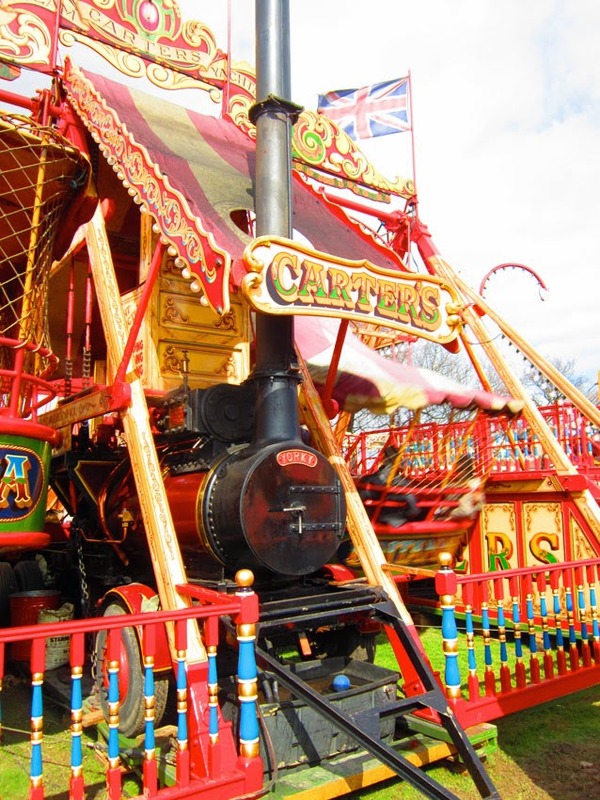 Having started in 1977, this family run business have accumulated a fabulous collection of vintage steam rides and vehicles. 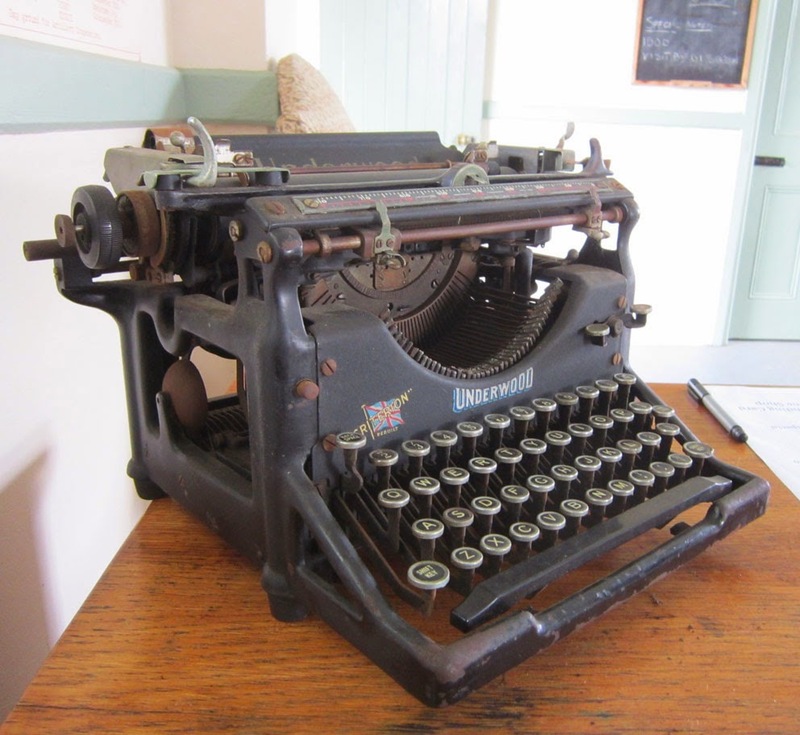 All have been meticulously restored and maintained to give a gorgeous glimpse into the past. 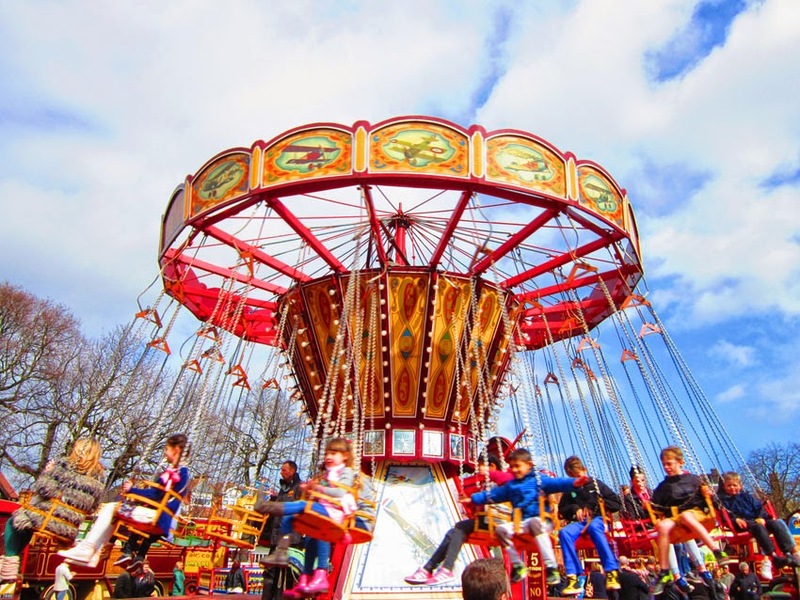 The vivid colors and retro music add to the fantastic atmosphere this fair creates. There are little details everywhere you look, you could spend the whole day taking pix, which I nearly did!! There was an impressive poster campaign in Southend, they were everywhere! 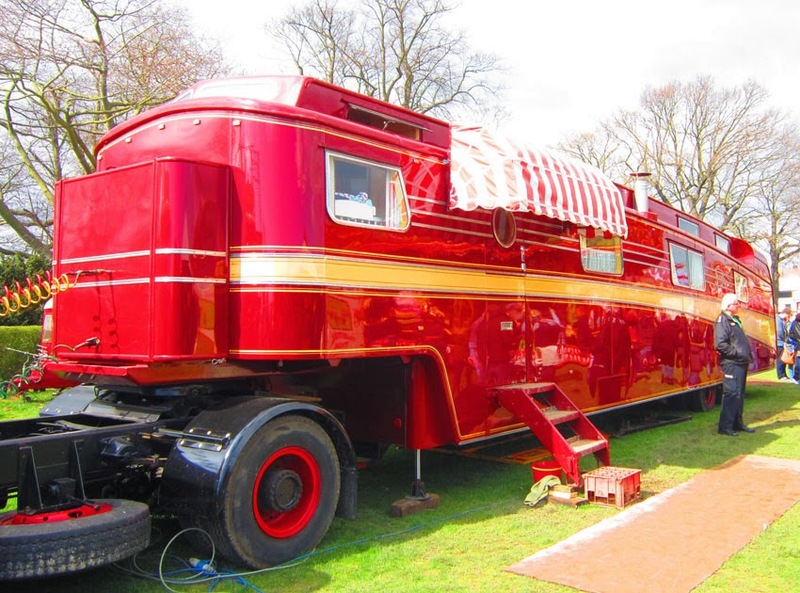 Gorgeous trailer, what a way to travel! Brilliant bashing machine, the Mighty Strikers! 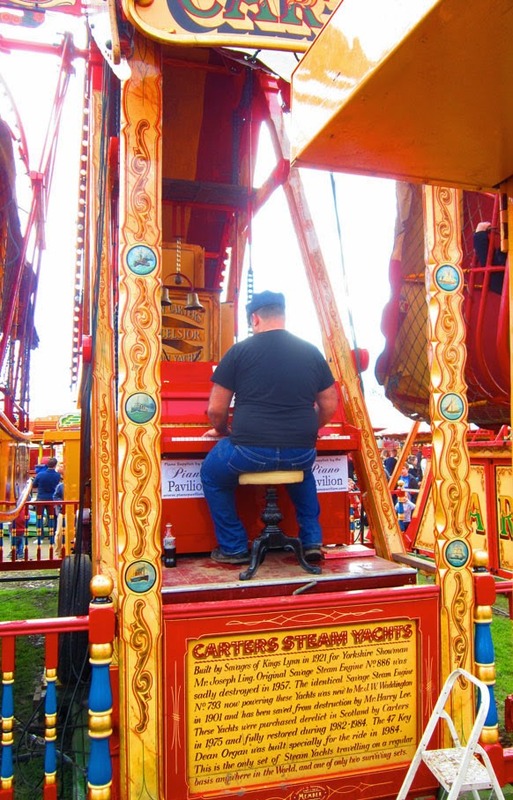 This chap was bashing out classic tunes on his vintage joanna. WOW! 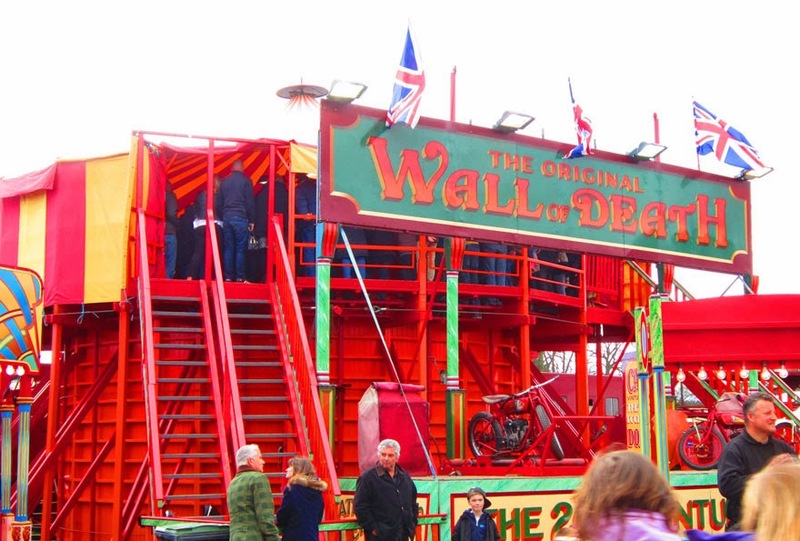 They even had a Wall of Death!! 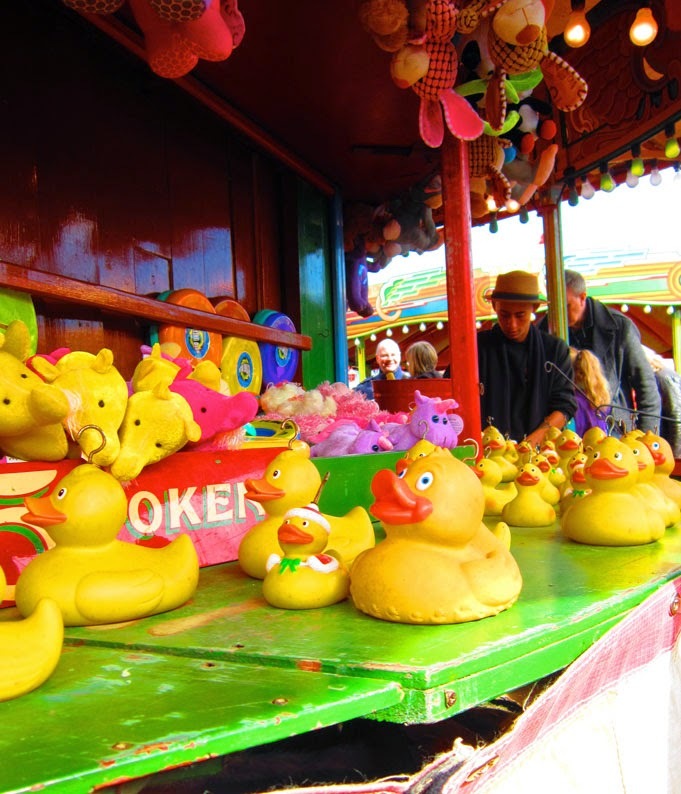 Great to see this fun fair favourite, the Hook-a-Duck! 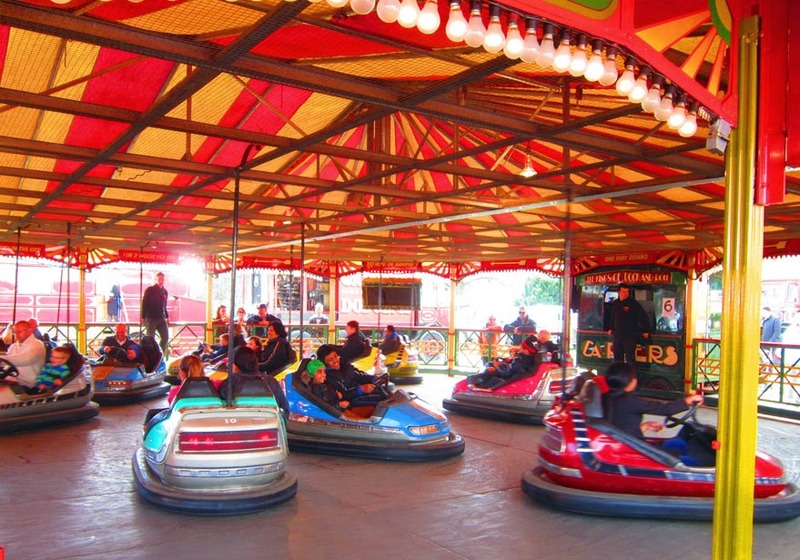 And of course the dodgems! 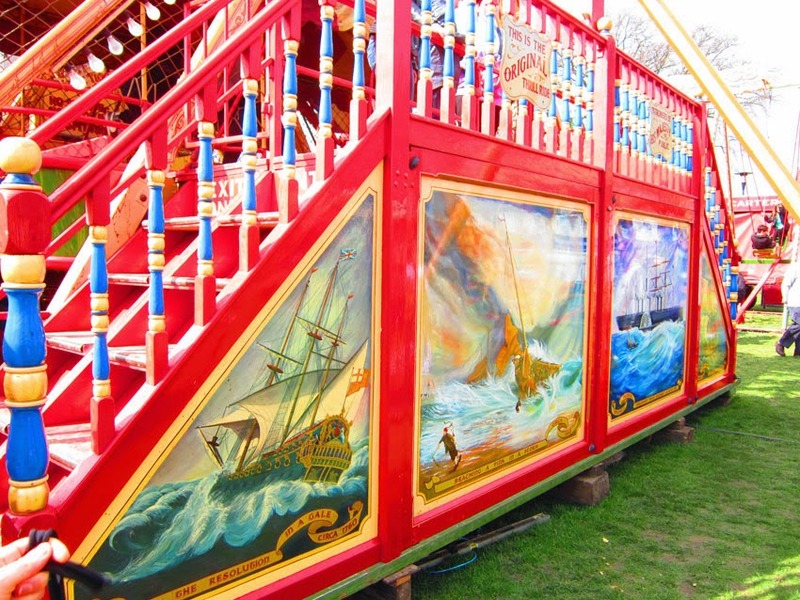 Fascinating steam powered Excelsior Steam Yachts, built in 1921. 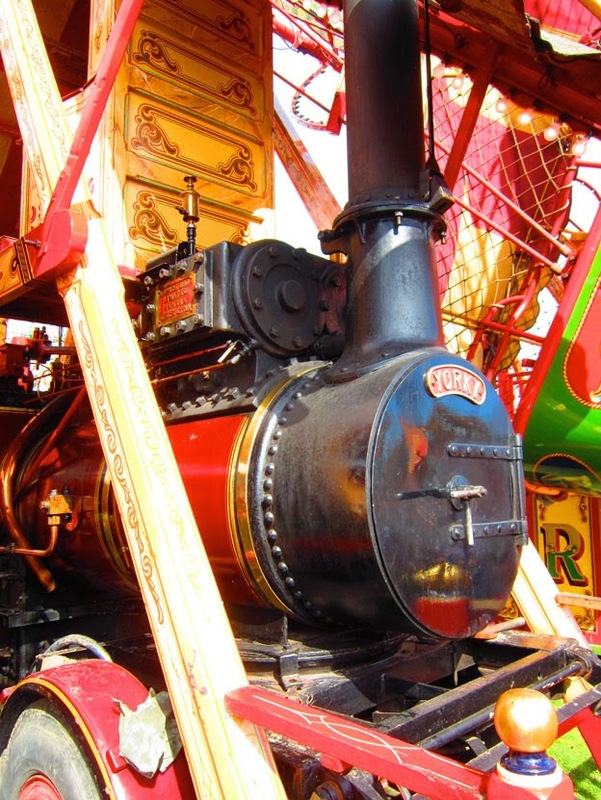 The original engine still in perfect working order. Meticulous paintings could be found in every corner! 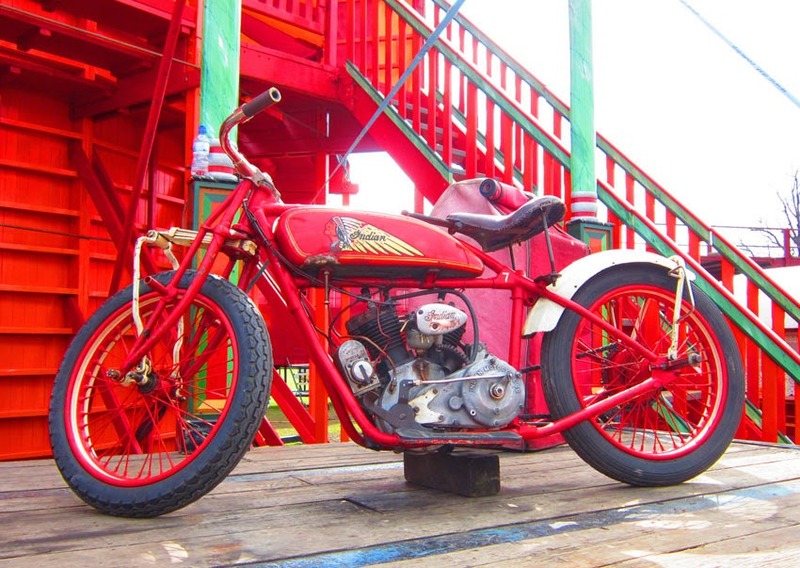 Fantastic original Wall of Death motorbikes! 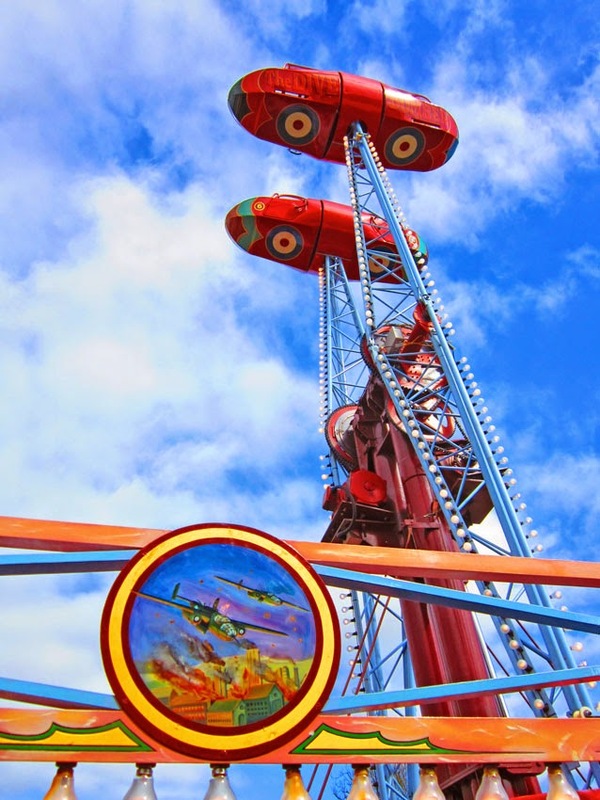 Full steam ahead on the Victory Dive Bomber! 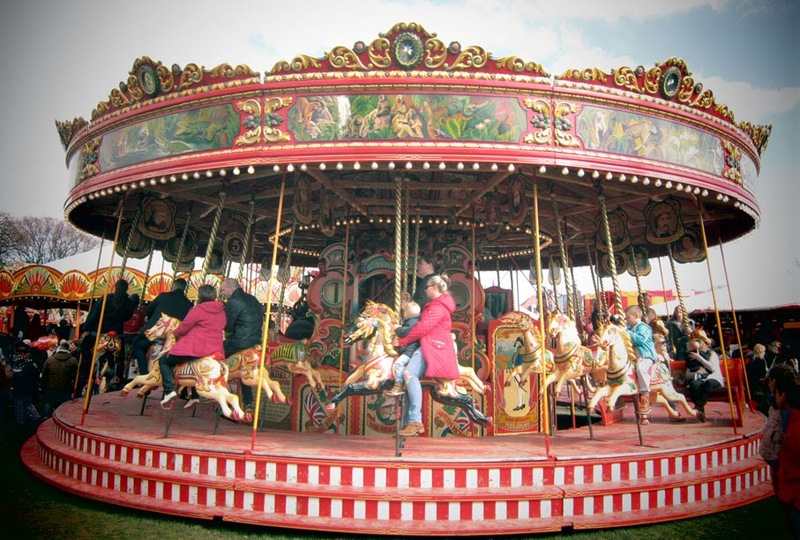 The Jubilee Steam Gallopers ride was a magnificent sight. 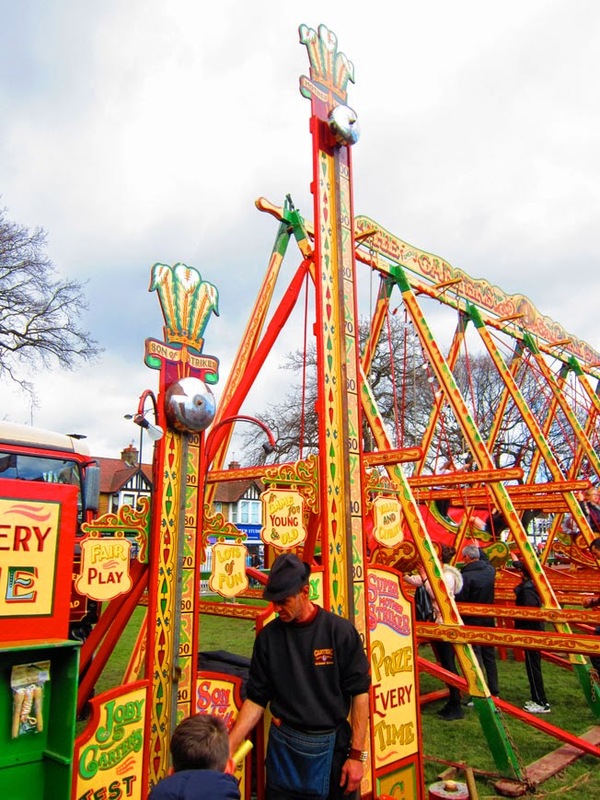 Another classic fun fair attraction, the coconut shy! 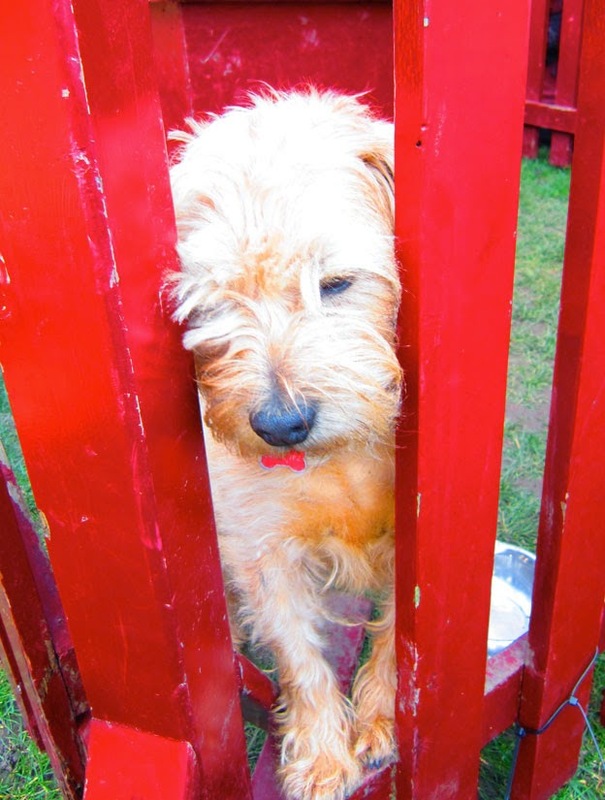 We also spotted this cute guard dog! !